Germany's national public broadcaster DeutschlandRadio is preparing for a future FM switch-off with changes to its output on DAB digital radio across the country. 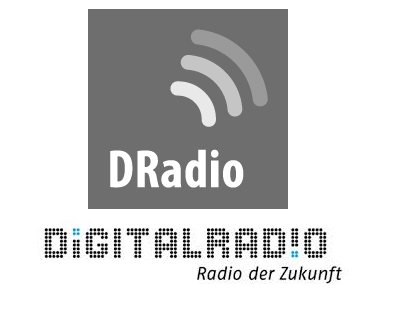 From today, the bitrate for the DAB+ version of DeutschlandRadio Kultur is being increased from 96kbps to 112kbps alongside configuration changes that will accommodate future 5.1. surround sound broadcasts. Sister station DRWissen is getting a bitrate boost from 88kbps to 96kbps. While these bitrates seem lower than UK DAB bitrates, Germany uses the newer DAB+ service; which DeutschlandRadio says produces a better broadcast quality than the equivalent mp3 bitrate. In the UK, broadcasters are proposing to launch DAB+ broadcasts with less than half the bitrates allocated to DeutschlandRadio's DAB+ stations in Germany, in a marked contrast to the way DAB is being developed in each country. At the same time, the error correction rate on DeutschlandRadio's services is being enhanced to enable improved reception inside buildings and around the edges of the current DAB+ coverage area. The changes, alongside a rapid roll-out of the number of DAB+ transmitters across Germany in the coming years paves the way for universal coverage on DAB+ ahead of a medium to long-term FM switch-off. DeutschlandRadio has already turned off analogue longwave broadcasts. Last month Norway became the first country to announce it was turning off FM broadcasts in favour of DAB digital radio. Switchover will take place in stages throughout 2017.